You have a life … ~ So code in blocks! The Internet of things is a new trend in Technology and it will be part in the near future part of our daily life. It will be also part of what we should teach to kids. 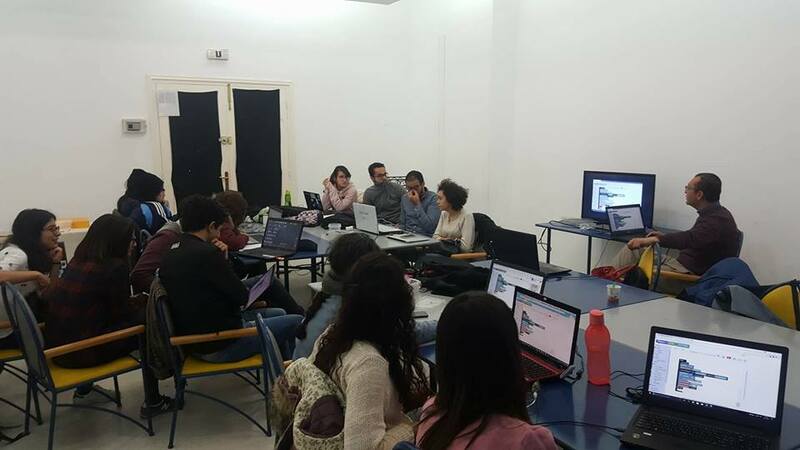 I contacted the Young Tunisian coders academy to make this workshop so they can integrate it in their future training of kids. 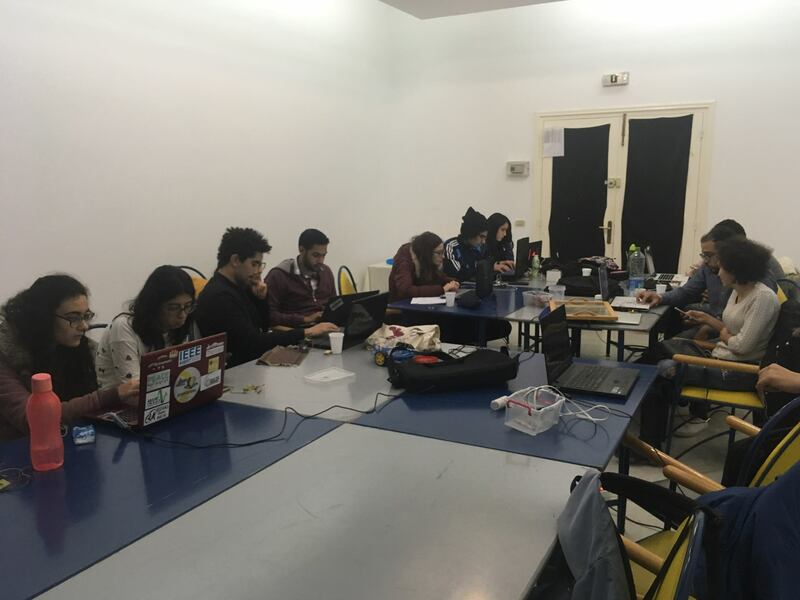 The training was around the programming of the ESP8266 with TUNIOT. The participants are mainly engineering students in computer, industrial computing and biology. So they know how much these skills are important. The advantage of the group is that they are members of other associations and groups so I am sure that the workshop will have a big impact and followed by other workshops for kids. One already confirmed is another training of trainers workshops for the team organizing the TuniRobots competition. IOT will be part of the competition. This will be followed by another article. When I make a training for trainers, I am looking forward to see kids programming and specially with a tool that I’ve created. PLEASE WORK WITH THE 2.4.0-rc2 version by changing on board manager.